Spaghetti squash (Cucurbita pepo), also known as vegetable spaghetti, is a nice alternative to pasta for people who can’t eat wheat or want to reduce their reliance on the grocery store. This squash has stringy flesh that resembles spaghetti noodles when cooked. It is easy to grow, store, and cook, so why not add this healthy vegetable to your garden and kitchen? Keep reading for two delicious and easy recipes for vegetable spaghetti! Planting and growing spaghetti squash is pretty easy. Just pay a bit of attention to these details and you’ll have 2 or 3 squash per vine in the autumn. Sow seeds directly in the garden after all danger of frost, or start 2 or 3 weeks early under lights indoors. Thin seedlings to 1 or 2 plants per hill. 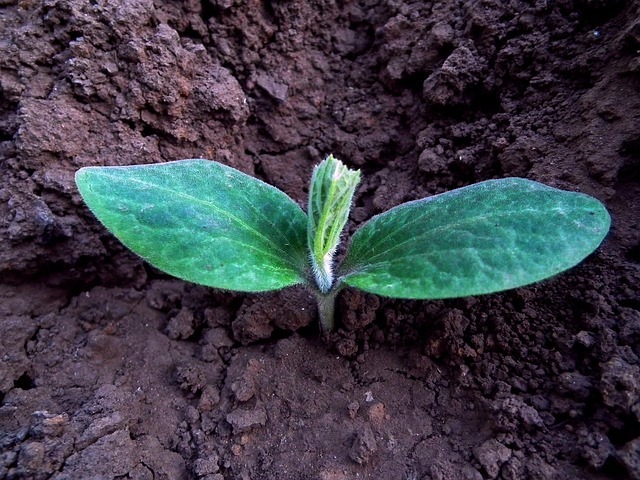 Squash loves soil rich in organic matter. Full Sun – 8 hours of sun a day, or more. 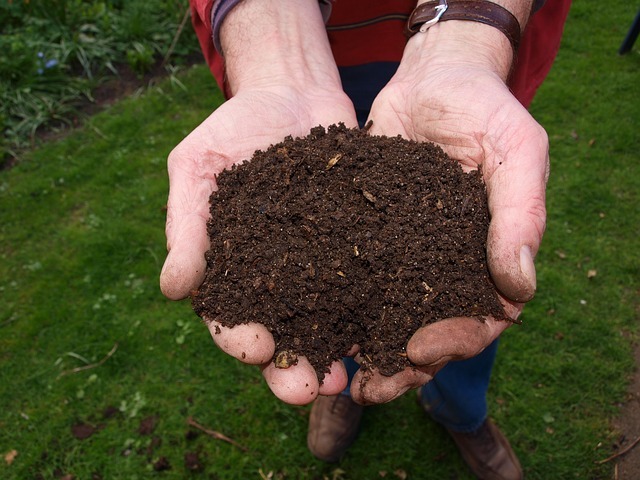 Compost – Plant in well drained soil rich in organic matter and mulch with well rotted manure or compost. Water – Provide 1 – 2″ of water a week unless there is adequate rain. Pests – Squash vine borer, red mites, squash bugs. Time to Harvest – Approximately 90 days to maturity. Harvest – Pick squash when skin turns golden yellow (some varieties are orange when ripe) and hardens so that your fingernail does not penetrate. Harvest before heavy frost, as it may shorten storage life. Cut the stem about 1″ or 2″ from the fruit. Carry – Don’t pick squash up by the stem. This may break the stem off and allow bacteria and mold in to rot the interior. Clean & Cure – Wash squash with a light bleach solution, dry, and store in a well ventilated spot to cure. Ideal conditions for curing squash are warm (80 degrees Fahrenheit), dry, and out of direct sunlight. Cure for 1.5 to 2 weeks to harden skin and increase storage life. Store – Place in a cool (50 – 60 degrees Fahrenheit), dry (60 – 70% humidity), dark area. Do not store squash on a cement floor. Instead, place them on wooden slats or shelves and do not pile on top of each other. Check – Watch for mold or rotten squash in storage area. Use damaged squash up quickly so they don’t go bad. Clean the neighboring squash with a mild bleach solution to prevent spread of mold and bacteria. 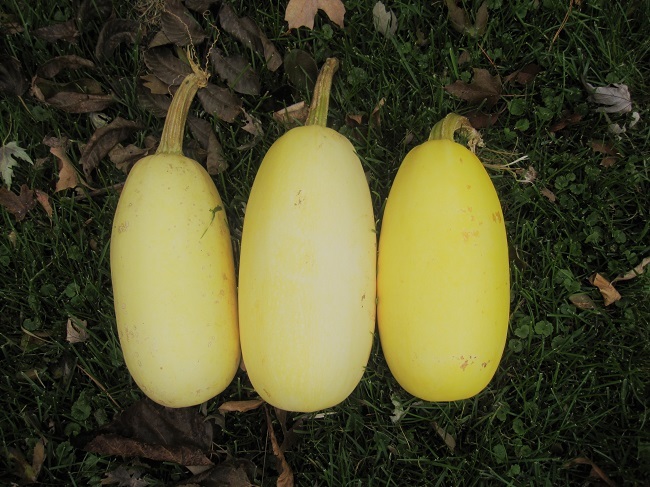 Storage Life – When properly stored, spaghetti squash may last up to three or four months. Cut in half and bake until tender. Prepare – Cut in half lengthwise and scoop out seeds. Add 1/2″ of water to the pan to prevent sticking, or grease pan with vegetable oil. Lay squash cut side down. Bake – 350 degrees Fahrenheit until tender. Serve – The fibrous flesh of spaghetti squash can be teased into strands with a fork. Dish some onto your plate and top with marinara or Alfredo sauce, butter and garlic, or other sauce as desired. Top with spaghetti sauce and cheese for a hearty meal. Use a fork to pull spaghetti ‘noodles’ from squash skin, leave in skin for serving ‘dish’. Place squash in baking dish. 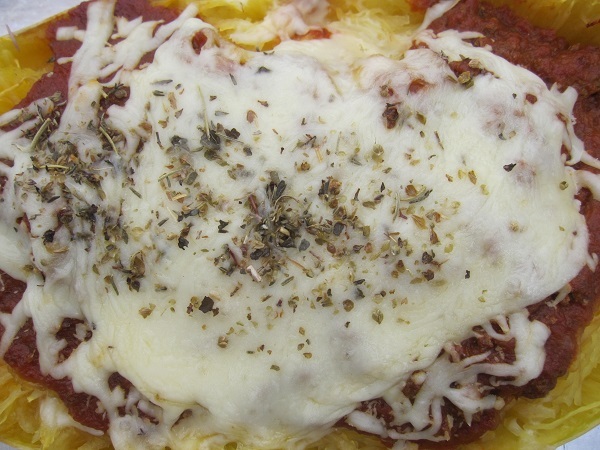 Top squash with spaghetti sauce, cheese, and seasoning. Bake at 350 degrees Fahrenheit until hot in center and cheese is melted. Serve hot in the squash skin. Stir fry with garlic and olive oil for a quick meal. Saute garlic in olive oil over medium high heat. Add ‘noodles’ and stir fry until heated through. 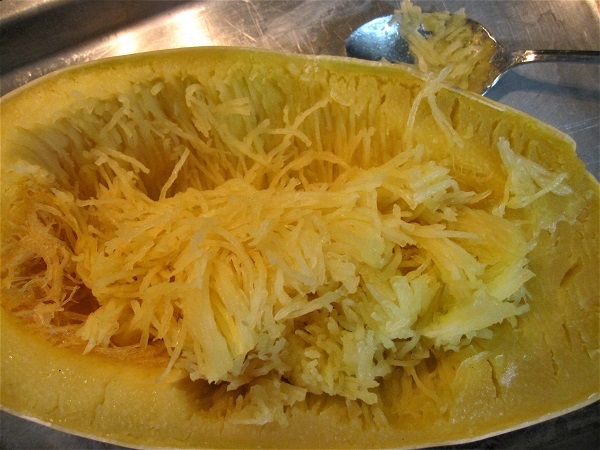 Place cooked spaghetti squash on plate, top with salt, pepper, Italian seasoning, and grated cheese. Serve hot. Note: This recipe may be increased to serve as many people as you like. Just multiply all ingredients by the numbe of people you wish to serve. Seeds for Spaghetti Squash are available through Mary’s Heirloom Seeds. Spaghetti squash is a versatile vegetable that requires little care. You may grow a few vines each year for a wheat and gluten free alternative to pasta. Each vine produces 2 or 3 oval squash that will keep up to 4 months in proper storage conditions. Try your hand at growing and cooking these tasty squash on your own homestead!